At the beginning of this Holiday season, I’d like to offer my thanks and gratitude for the following free, open-source software projects without which my life would be much less productive and fulfilling. That I am able to use these applications to get things done in my life at a total cost of zero dollars is a blessing, and I offer my humble thanks to the multitude of developers around the world who contribute to these projects. 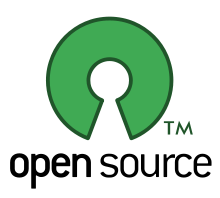 Open-source software is truly created by the people for the people, and the world is a better place because of people like all of you. In that spirit, here are the pieces of open-source software that touch my life on a near-daily basis, heightening my productivity in countless ways. Let’s start with the software that directly interfaces most of us with the web. When I first started using the Internet in the mid-1990s, Netscape Navigator was all the rage, and I had plenty of time to stare at its animated icon (link for the nostalgic) while my 14.4 dial-up modem chugged along at slug-like speeds, dutifully loading one “dancing baby” pixel at a time on my 80-pound CRT monitor. Ah, those were the days. Netscape eventually fell into obsolescence starting in the late-1990s when Microsoft started bundling Internet Explorer with the Windows operating system. Then in 2003, a Phoenix rose from the ashes of Navigator. I recall using Phoenix in late 2003 before it even had an installer. Phoenix was renamed Mozilla Firebird, and in 2004 was renamed again into Mozilla Firefox, the venerable browser that so many of us use and love today. Fast-forward to 2012, and I now spend the bulk of my browsing time laughing at memes doing productive work in either Mozilla Firefox or Chromium. If you’re a fan of Google’s Chrome browser, Chromium is its leaner open-source foundation. Both Chromium (Chrome) and Firefox are fine choices, and I enjoy that we once again have numerous competitors in the realm of web browsers. I wouldn’t want to go back to the stagnated days of the Internet Explorer monopoly for anything, and this is coming from a guy who uses a Windows Phone. On the other side of the spectrum we have the software that works invisibly behind the scenes of the User – Browser – Internet experience, powering the Internet as a whole. When you, dear reader, enter the URL for this website in your browser, a number of open-source software programs spring into action. InterestingMoney is hosted on a Linux server running the Apache web server interfacing with a MySQL database and the PHP scripting language. A LAMP stack like this one powers a surprising number of the sites you visit everyday – 57% of all websites are served by Apache in November 2012 according to Netcraft. Though my job as a university professor has absolutely nothing to do with web technology, over the years I’ve maintained enough of a hobby interest in Linux servers that I am comfortable installing, configuring, and securing the server that powers InterestingMoney as well as a few other sites that I own. In addition to the aforementioned LAMP stack, I also offer my thanks and gratitude for the Lighttpd web server, the Bash Unix shell, and the Perl and Python programming languages. Of course, I’d be remiss not to mention WordPress, which makes posting and managing these articles far easier than writing my own HTML. On the desktop side, I’m equally comfortable running Windows, Linux, and Mac OS X. As you may have guessed, my preference is to run Linux as much as possible. 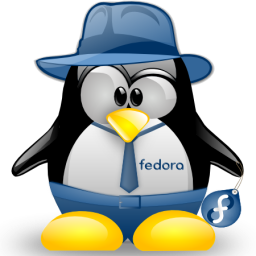 I first started experimenting with Linux on the desktop back in 2003 using Red Hat 9. I was clueless at the time, and I can look back and laugh at myself regarding my Windows-oriented mentality: I recall surfing the web immediately after finishing my first installation in terror because I had not yet installed an antivirus program. How naive I was considering that Linux does not require antivirus software the way that Microsoft Windows does. Presently I tend to hop around between either Fedora or Ubuntu on my desktop computer. Linux has matured greatly since I first started using it nearly a decade ago, and I feel confident that it can easily meet the needs of 90%+ of all computer users. Most people just need a web browser, a word processor, plus maybe a few utilities such as an image viewer, a PDF reader, and a media player, and Linux can meet all these needs with aplomb. 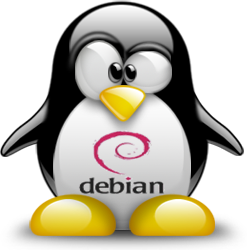 For new Linux users, I strongly suggest starting with a distribution like Ubuntu or Linux Mint. Most distributions allow you to run from a Live CD (or flash drive) before installing, so it’s easy to give it a test drive and see how it meets your needs. At a cost of $0, you have nothing to lose and everything to gain. And now we come to the plethora of individual open-source applications and utilities that I use frequently. As with the above programs, the following are all free to use and modify at will. As the saying in the open-source world goes, they are both free as in speech, and free as in beer. Virtualbox offers a free way to install and test virtual operating systems. I tend to run several Linux distributions as virtual machines as well as at least one installation of Windows (for that one piece of software just not offered on Linux). Want to test a piece of software to see how it behaves before installing it on your computer? Try it in a virtual machine first. Aside from a web browser, KeePass may be my most-frequently used application. I use it to manage all of my usernames, passwords, and security questions. When combined with the built-in password generator, I feel secure about all of my logins, especially those for financial institutions. Many of my passwords are 100 characters long. You don’t happen to reuse the same username and password combination for different websites, do you? If so, shame on you. Get KeePass and get more secure. See related article. Microsoft Office is overkill for most people. I can get Office for free through work, but I still prefer to use LibreOffice, which suits my needs just fine. Unless you’re a legitimate Office power user, give LibreOffice a shot, as I suspect it will do everything you require. On a related note, I’m starting to use Google Drive on a near-daily basis as well. Tired of nag screens from WinZip or WinRAR? Then install 7-Zip and get the exact same functionality without the annoying nagging. 7-Zip can extract all common forms of file archives (zip, rar, dmg, tar, etc) and create archives with a variety of options, such as file type, splitting, and amount of compression. This is one of those hardworking utilities that I use countless times each day, usually without giving it much thought or appreciation. Audacity is a free multi-track audio editor that includes a number of bundled effects and plug-ins. If you need a simple tool to record or edit audio, you can do a lot worse than Audacity. I’ve been using it for years, mainly to edit lectures and other materials for my students. Forget Windows Media Player and Quicktime. For playback of pretty much any audio or video file, VLC is hard to beat. It’s a veritable media swiss army-knife. Other features include media conversion from one file-type to another, as well as the ability to stream directly from YouTube to a file on your computer, though I didn’t tell you that. Admittedly, I don’t burn that many CDs or DVDs anymore, but when I do, I like to use InfraRecorder for its simplicity (Windows only). Years ago I remember installing such bloated applications such as Nero just to burn a CD. InfraRecorder’s installation file for Windows weighs in at a slim 4 MB. It’s hard to beat that. The features that it does have are exactly what you would expect, including burning dual-layer discs and erasing re-writable media. HandBrake is my go-to application for ripping a DVD to a video file. Even though I own a lot of DVDs, I still prefer to rip them before watching, mainly for convenience, but also to reduce scratches on the disc and not having to hear my DVD drive spin for the duration of the movie. HandBrake by default does not support copy-protected DVDs, but for the curious, there are easy ways around this limitation. Google has all the answers, as usual. Mozilla Thunderbird is the kissing cousin of Firefox. While I use web-mail (Gmail) on my laptop and at work, Thunderbird is almost always open on my main desktop computer, interfaced with my (too many) e-mail accounts. I dig the tabbed interface and the convenience of allocating all my accounts into one program. Here’s a program that definitely makes life easier for anyone who runs a website. FileZilla provides an interface between my web server(s) and my home computer, allowing me to transfer files back and forth. It’s drag & drop friendly, supports transfer resume of large files, and does everything I need an (s)FTP client to do. Despite its at-first-glance offensive name, GIMP (GNU Image Manipulation Program) is a surprisingly powerful photo editor. While Photoshop snobs may sneer, GIMP easily meets the needs of all but the most-professional of image editors. Yes, Photoshop is great for those who can afford it, but I’ll gladly take the GIMP at zero of the cost. Here’s one that’s right at home on a personal-finance blog. If you don’t want to shell out for Quicken and are wary of trusting your privacy to an online service such as Mint, then you should embrace GNUCash, which is a powerful accounting application. Its features are far too many to list here, but highlights include a checkbook-style register, support for multiple currencies, and small-business accounting tools (invoicing, payroll, etc). Transmission is my preferred BitTorrent client for downloading and seeding large files. Though BitTorrent can be used for illegal file-sharing in the hands of an unscrupulous user, there are plenty of legitimate purposes as well, such as the downloading of the aforementioned Linux distributions. fre:ac is an audio converter and CD ripper – no more, no less. I use it to rip all my CDs and convert the odd file that I run across in a format that I don’t normally use, such as Windows Media Audio. This application fits the Unix ideal of do one thing, and do it well. (Windows only) While HandBrake (above) is great for DVD ripping, DVD Flick essentially does the opposite: authoring. If you have one or more video files (from a camcorder or cell phone, for example) that you would like to burn to a DVD that can be played in any DVD player, then DVD Flick is for you. With it, you can add your own custom menus, additional audio files, sub-titles, and then burn your masterpiece to a blank DVD. After all this downloading, you’ll want to blow off some steam with a video game. I suggest Battle for Wesnoth, which is a turn-based game with a fantasy theme. You can play in single-player mode or multi-player (online or via hotseat). The game itself is huge, featuring over 200 unit types, sixteen races, and hundreds of years of history. If that doesn’t placate you, it’s also possible to build your own units, create your own maps, and even design custom campaigns. Happy warmongering! Are there any open-source programs for which you are thankful and appreciative? If so, add them to the comments. We all benefit from the sharing of information.